With the signing of the Treaty of Versailles on June 28, 1919, World War I (known as The Great War, to my grandmother’s generation) ended. However, actual fighting ceased seven months earlier when an armistice–or temporary cessation of hostilities,–between the Allies and Germany went into effect on the eleventh hour of the eleventh day of the eleventh month. For that reason, November 11, 1918, is generally regarded as the end of “the war to end all wars. In 1953, a shoe store owner from Emporia Kansas had the idea to expand the Armistice Day celebration to all veterans, not just those who served in WWI. He began to campaign to turn Armistice Day into “all” Veteran’s Day. The Emporia, KS Chamber of Commerce took up the cause and area merchants and the Board of Education began closing their doors on November 11 to honor all veterans. With the help of US Representative Dwight Rees, also from Emporia, a bill for the holiday was pushed through Congress and on May 26, 1954 President Dwight Eisenhower signed it into law. On November 8, 1954, Congress amended the act, replacing “armistice” with Veterans. 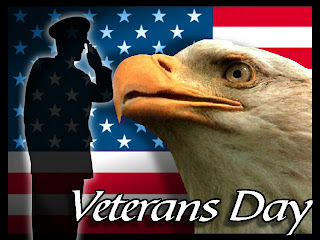 It has been known as Veteran’s Day ever since.